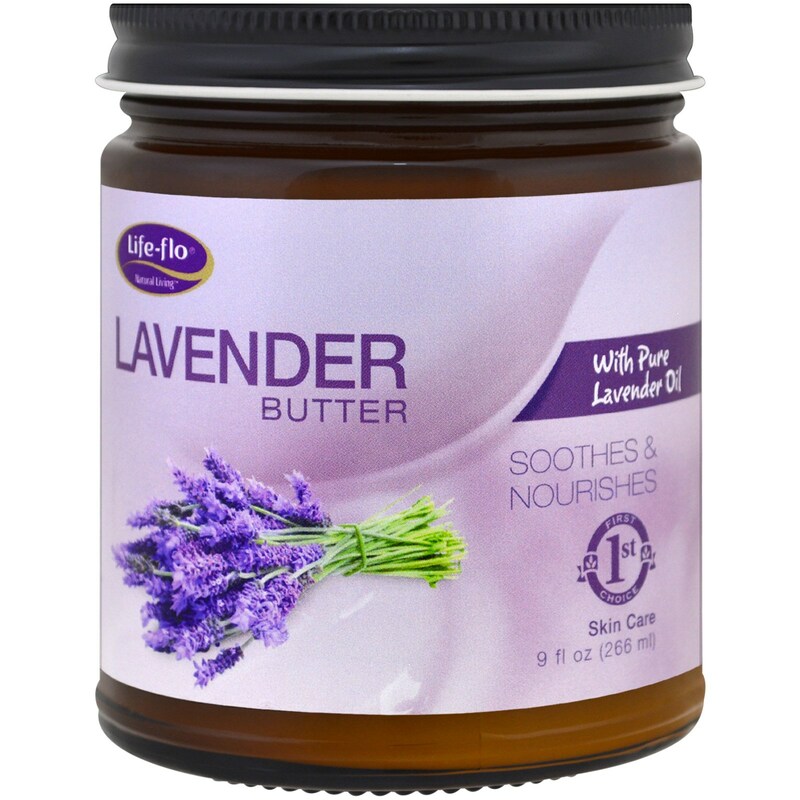 Discussion: Lavender Butter is a smooth, emollient butter that helps infuse dry skin with luxurious moisture. 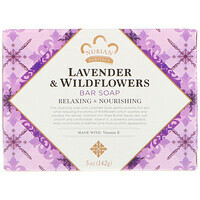 Made with pure Lavender flower extract to help relax and renew your senses. Can be used anytime of day or night to help protect against dry skin and improve the appearance of fine lines and wrinkles, while helping moisturize and restore skin elasticity. Scoop a generous amount of the body butter and rub between palms to melt butter. 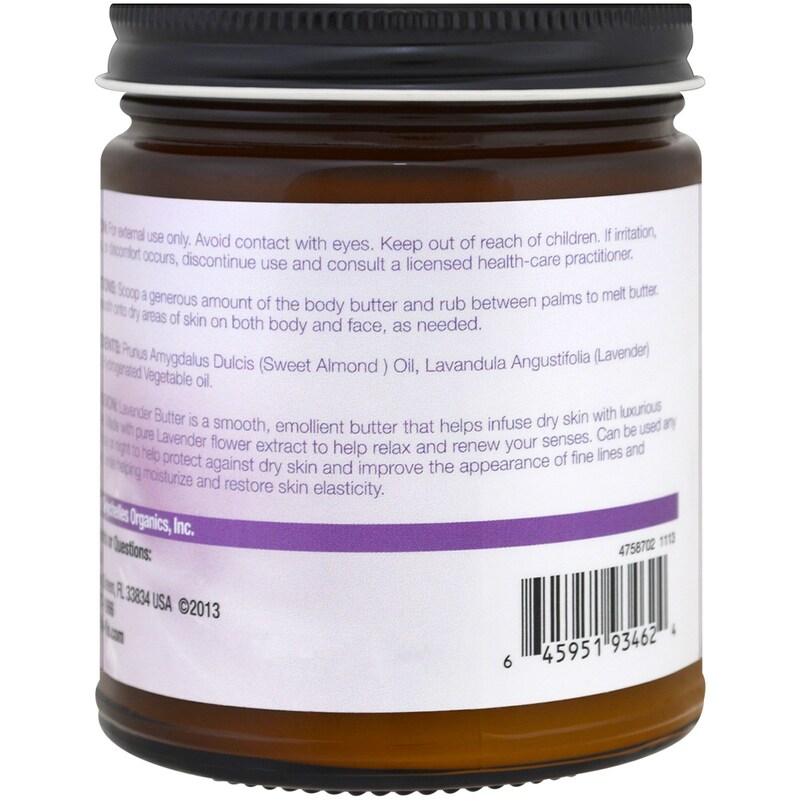 Then smooth onto dry areas of skin on both body and face, as needed. 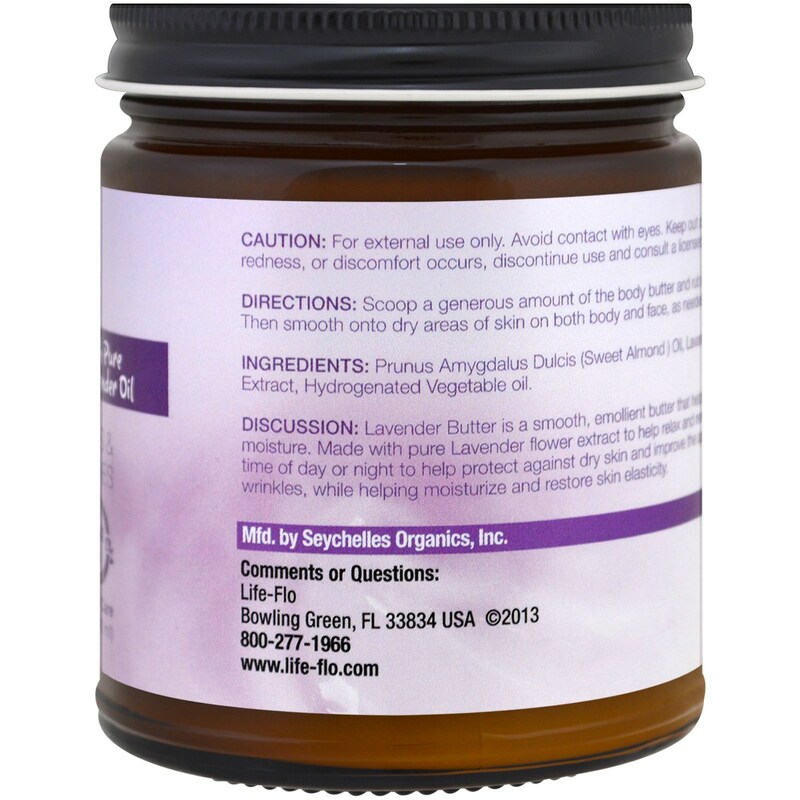 Prunus amygdalus dulcis (sweet almond) oil, lavandula angustifolia (lavender) extract, hydrogenated vegetable oil.